Second in the series of Meatball movies. A group of kids attempt to save a summer camp that's a financial failure. Girl Camper: Your fly's undone. MB captures not only the scenic beauty of camp surroundings but the beauty of being young and carefree. MB give a great example of pre-teens, teens and young adults living their summer with no concerns other than guys hooking up with girls and girls hooking up with guys and booth having as much fun as they can before they head back to junior high & high school and college. The opening title song that goes "Are you ready for the summer?...no more homework no more books, no more teachers dirty looks..." describes exactly how summer is viewed by school kids. Lastly, this movie had normal looking kids and counselors. 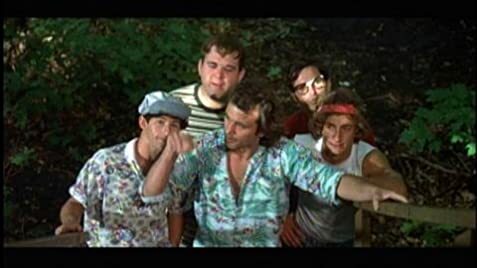 No super models for counselors or campers that wore trendy clothing. It is fun to just kick back and watch this film and remember when life was as fun as this movie.